If you thought finding the perfect gift for Mom's birthday was hard, wait until it's time to write her Happy Birthday card! How do you find the words to let Mom know how much you appreciate everything she's done for you? 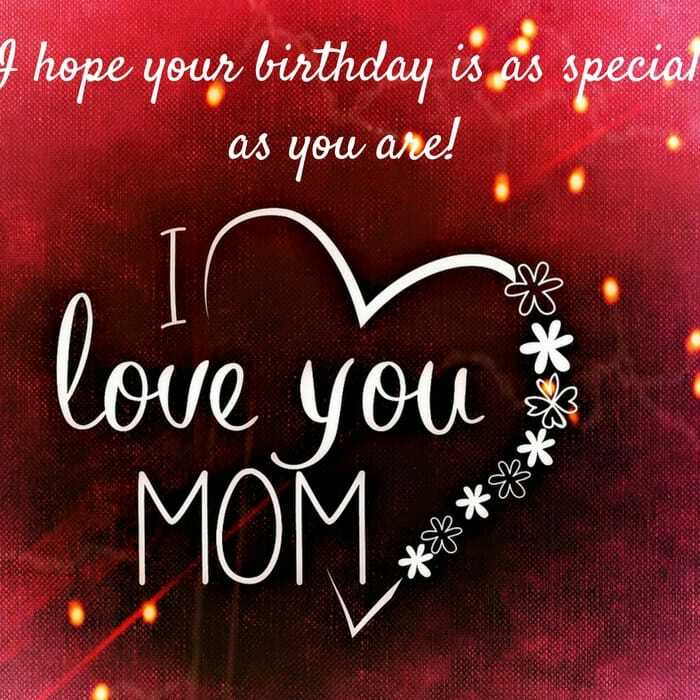 Here are wishes and quotes that you could use for Mom's birthday card - hopefully you'll find the just-right words to express your love for Mom! Feel free to print or download any of the pictures that you'd like. 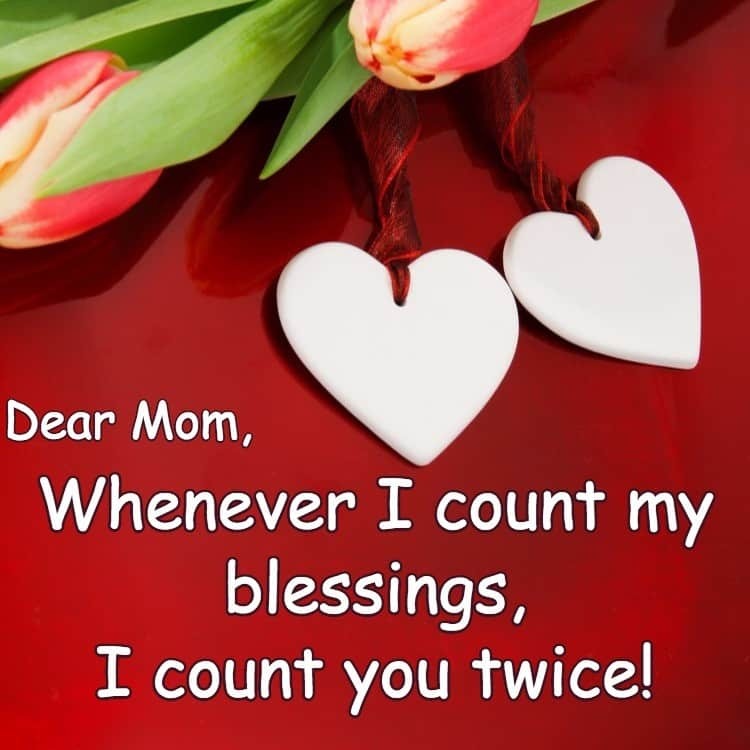 Whenever I count my blessings, I count you twice. Everything in my life is so much better because of you. Happy birthday with all my heart. 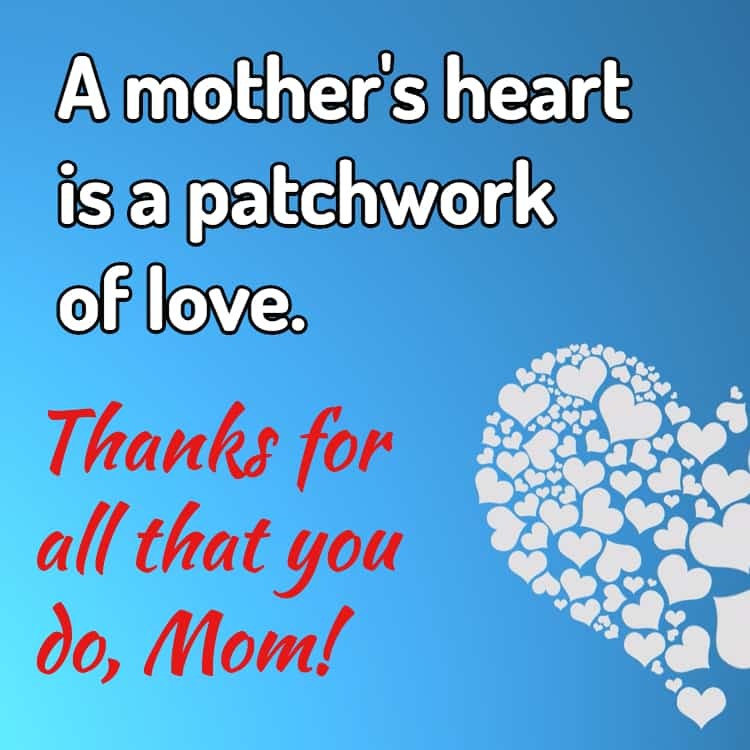 A mother's heart is a patchwork of love. Thanks for all that you do, Mom! So proud of the kind of mother you've always been. A mother is your first friend, your best friend, your forever friend. There aren't enough words to say how much you mean - or how special you'll always be to me. Happy Birthday, Mom! Mom I carry hundreds of pictures of us wherever I go. I carry them in my heart. 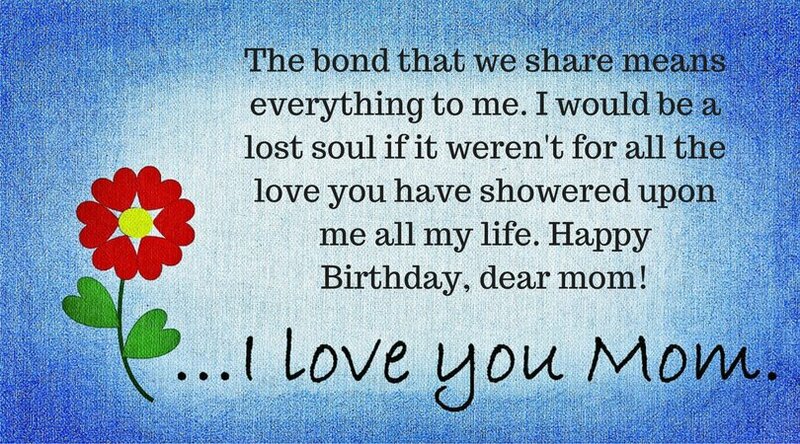 A birthday wish for my mom who is the best mom ever! All the gold, diamonds and other jewels on earth cannot match the shine of love and care that you have bestowed upon me. You have given me the priceless gift of life and the priceless gift of having such a great mother. Happy Birthday! I think that you're the greatest, and I wanted you to know. You have a place inside my heart that no one else can fill. I love you for so many reasons, Mom - and I can't say 'thanks' enough. Happy Birthday! Wishing you the warmth of a beautiful day, and the happiness of knowing how special you are. Happy Birthday! Wishing you a bright birthday to go with your sunny personality. Birthdays are for enjoying, relaxing, and celebrating...so have yourself a happy one! You deserve everything wonderful. Because you're so special... may your birthday and each day that follows... be filled with little surprises and simple pleasures. May the sun shine on all the wishes in your heart. Mom, you are the best friend I ever had. You mean more than just mother to me, you are my ultimate teacher and the sweetest person I know. I wish you a very happy birthday filled with love. It's your birthday-- the day we all celebrate... the wonderful gift of you. Thanks for all that you've given me. Happy birthday, Mom! Mothers love with all their strength, all their being, all their heart. Thank you Mom, for always loving me. 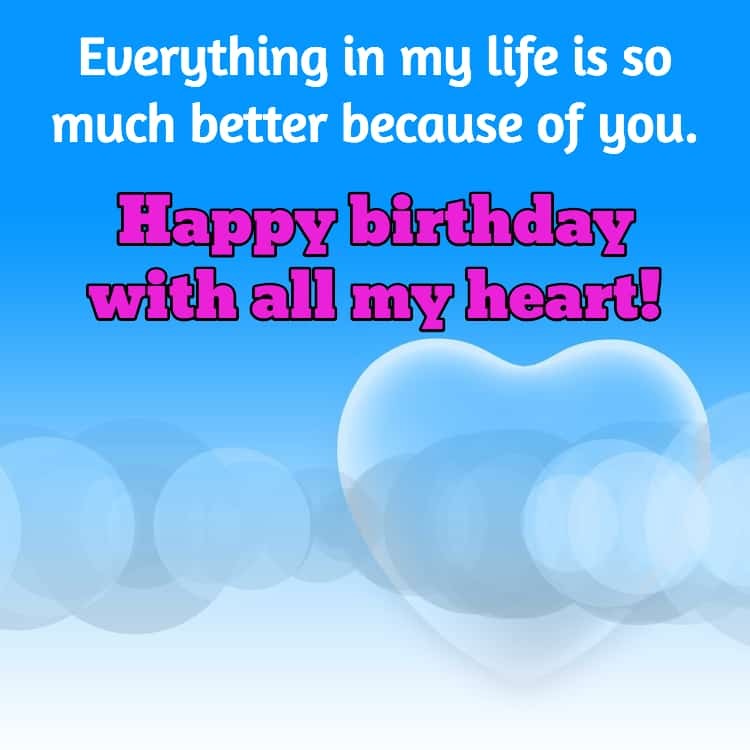 I hope your birthday morning begins a day filled with joy and laughter magic moments and happy memories. You have a special way of making the world seem a little warmer, a little brighter, and a little friendlier. That’s why it’s such a pleasure to wish you a fabulous birthday and an amazing year ahead. Sometimes I feel like God gave me a mom...and threw in a best friend for free. I love you, Mom!